February 23, 2010 By tiffany Leave a Comment By clicking on our links, we might make a SMALL commission - Thanks for the support! See our full DISCLOSURE here. Just add the BelsonPro Digital Nano Diamond Flat Iron 1″ (Item# 255161) to your cart and enter promo code 444413 in the space provided. The BelsonPro Ionic Tourmaline Turbo Dryer (Item# 255154) will be automatically added to your cart as a free bonus item. Thanks My Dallas Mommy. If I get into a Sally before this sale ends, I’ll get a review from someone who works there in these products! February 23, 2010 By tiffany 2 Comments By clicking on our links, we might make a SMALL commission - Thanks for the support! See our full DISCLOSURE here. 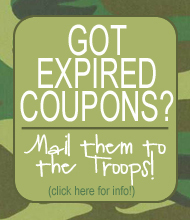 Looking for more ways to use that awesome coupons from Sundays inserts? Thanks to Deal Finding Chik for letting us know about a great deal at Meijer! Final Price – $3.88 for both making it just $1.94 each! $5 Hardback cookbooks from Taste of Home! 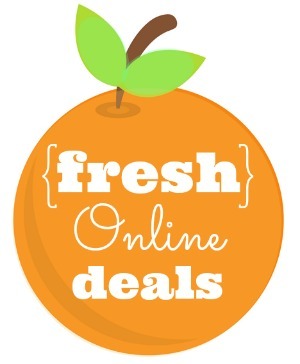 Um, don’t tell my husband but I just ordered 4 cookbooks, but all for LESS than one regularly priced! I am thrilled! Plus I get 10% back from Shop at Home! These are great quality cookbooks! ::Login or sign up for a few account with ShopAtHome and search for “Taste of Home”. Click through to the Taste of Home site. ::Click on the “Cookbooks” link in the sidebar and then sort by lowest to highest price and all the $5 cookbooks will show up first. 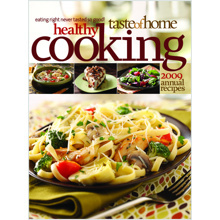 ::Add two or more cookbooks to your cart and checkout using coupon code 347 (this coupon code will give you free shipping on any order of $10 or more). Your ShopAtHome account should be credited with 10% cashback within 30-60 days of ordering. Plus, if it’s your first time to order through ShopAtHome, you’ll receive a $5 bonus to your account. Thanks Money Saving Mom! Free book for the Troops! February 22, 2010 By tiffany 1 Comment By clicking on our links, we might make a SMALL commission - Thanks for the support! See our full DISCLOSURE here. This is a post from My Dallas Mommy that I had to post here! I was amazed at all the military woman reading my blog and wanted to make sure you knew about this deal! I read about this program this morning on CafeMom and couldn’t wait to share it with you. This beautiful “pay it forward” program is designed to provide comfort and support for our troops stationed anywhere with an APO/FPO or MPO mailing address. You can make a FREE 20 page Personal Soft Cover Book using your own digital pictures and send it to your family and friends far from home. The USO even pays for the shipping – making this $17 value, COMPLETELY FREE. Each book is 5 x 7 and includes 20 pages (additional pages available at extra cost of .20 per page). It’s designed to be lightweight and fit neatly into fatigue cargo pockets. It’s a great way to share memories of home with those far away. They will give you a promotion code to keep until check out. Under payment options do not enter cc info go to coupon code and put in the number it gave you at the beginning and the cc info will disappear. The number of free books is limited, so make yours today before this amazing “pay it forward” runs out! Economy shipping method is paid by the USO and is free to you. Other shipping methods are available for an extra charge. Limit one free 20 page Personal Soft Cover Book per customer; this offer does NOT apply to any other products. Free book contains 20 pages and approximately 50-60 photos; additional pages available for $0.20 each page. Additional books available at regular price. For more information on the USO, please visit USO.gov. 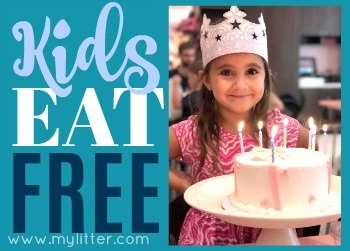 We have been eating here quite a bit lately, they have kids eat free every night but the weekends and they give ALL my kids a free meal. Can’t beat that! Who doesn’t love FREE Pancakes? To celebrate National Pancake Day, get a FREE short stack of buttermilk pancakes from IHOP TOMORROWon Feb. 23rd from 7 a.m. to 10 p.m.
*IHOP asks that you consider making a donation to your local hospitals through the Children’s Miracle Network. Free sandwich at Jack in the Box! February 22, 2010 By tiffany Leave a Comment By clicking on our links, we might make a SMALL commission - Thanks for the support! See our full DISCLOSURE here. Head to Jack in the Box tomorrow, Tuesday, February 23rd to get a Free Grilled Sandwich when you purchase a Large Drink!! 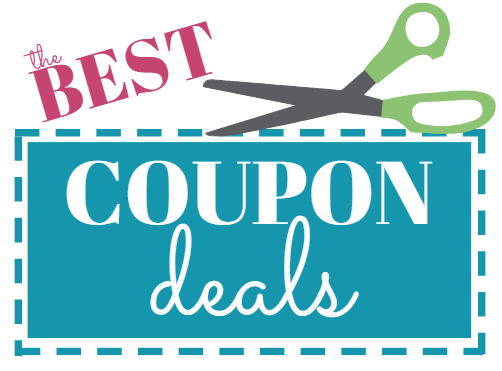 No coupon necessary! $1 sandwiches at Dickies! Last Day! This is the LAST Monday they are doing this! Don’t miss out! The Dickies in The Woodlands is back in Sterling Ridge off Woodlands Pkwy. GAP 25% off this weekend, entire store! February 20, 2010 By tiffany Leave a Comment By clicking on our links, we might make a SMALL commission - Thanks for the support! See our full DISCLOSURE here. Also, if an item is on promo (2 for $30, 3 for $15), the 25% will be taken off the promo price, not the original price. Thanks KCL! 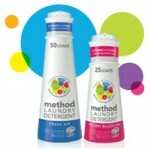 Method Laundry Soap only $.98 at Babies R Us! February 20, 2010 By tiffany 1 Comment By clicking on our links, we might make a SMALL commission - Thanks for the support! See our full DISCLOSURE here. I have never used this detergent. But I would like to try it! Right now, Babies R Us has Method Laundry Detergent on sale for $7.98 (25 loads) thanks MNTK! use the $3/1 Babies R Us Method Laundry Soap (.pdf coupon)Final Cost: $0.98 each after both coupons! Tomorrow! Saturday Feb. 20, from 10 a.m. to 3 p.m., you can enjoy a free pretzel at any Auntie Anne’s location. They will be offering their Original or Cinnamon Sugar pretzel for free! Plus sign up for Pretzel Perks for a freebie on your Birthday + coupon offers throughout the year! Thanks MDM!